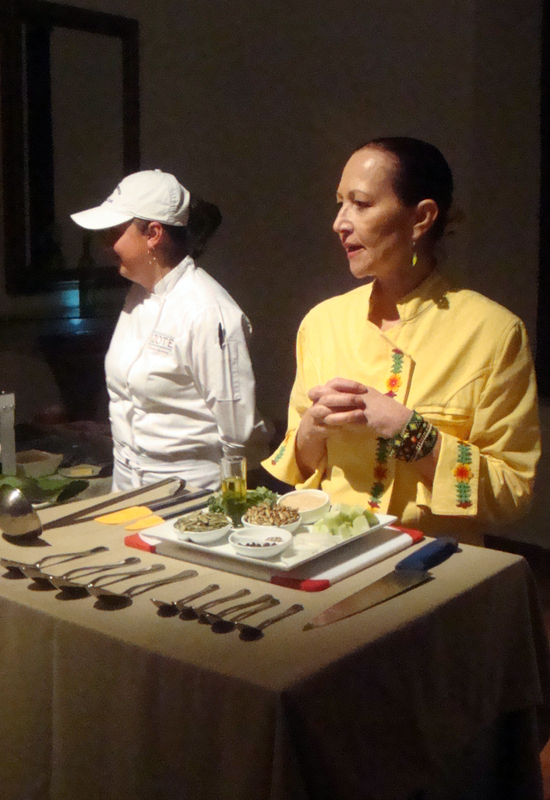 Patricia Quintana underscored the importance of protecting the traditional cuisine of Nayarit at the XVI International Gourmet Festival hosted both in Riviera Nayarit and Puerto Vallarta. The passion that Patricia Quintana displays every day while she crafts traditional Mexican dishes was added to the celebration last Tuesday, November 16, when the UNESCO revealed that it has included traditional Mexican Cuisine to its list of Intangible Cultural Heritage of Humanity. Quintana is regarded as the most important international exponent of Mexican gastronomy, and she is currently in Tepic working at the Emiliano restaurant as guest chef for the XVI International Gourmet Festival, which is being hosted in Riviera Nayarit and Puerto Vallarta. The chef highlighted the importance of preserving recipes, techniques and even ingredients that have been lost and are essential to this cuisine. "We are delighted by the news and celebrate this recognition, which will certainly change the way we promote Mexico, as its gastronomy is regarded as a key factor to attract tourism to the country. A successful way of doing this is through the Gourmet Festival, which was originated in Puerto Vallarta and today has wisely extended not only to Riviera Nayarit but to San Blas and Tepic, and this is where I was invited", she said. Patricia Quintana invited everybody to protect Nayarit's culinary heritage, which she has certainly enjoyed as part of her never-ending research work, including camarones cucaracha, aguachile, the different sarandeado styles that can be found throughout Riviera Nayarit, San Blas' oyster sopes, the tlaxtihuil and the shrimp tortillas of Mexcaltitán, the fish chicharron of Santa María del Oro, and the birria of Ahuacatlan. Nayarit's cuisine is as rich and diverse as that of the rest of the country and it's important that we protect it, and it should also be used as an integral strategy to attract tourism to this region", she added. The prestigious chef is presenting a menu based on the Mexican Revolution at the International Gourmet Festival, with exquisite dishes that stand out because of the simplicity of their preparation, which achieves a perfect balance in aromas and flavors, which represent her stay in the capital of the State of Nayarit. "A family from Guadalajara read about the Festival in the Perla Tapatia newspaper, and they arrived with the copy of the newspaper in hand, asking if it was true that we were here. They made a two hour trip just to enjoy our dishes, and that's certainly flattering", she mentioned.